K Ananda Krishna | I.K International Publishing House Pvt. Ltd.
is Research Associate at the Centre for Biotechnology, Achraya Nagarjuna University, Guntur, India. He Received the Master's degree in the area of Biotechnology from Acharya Nagarjuna University, India. He was awarded the first prize in Young Scientist for regenerative Medicine and National Seminar on Regenerative Medicine and Tissue Engineering. 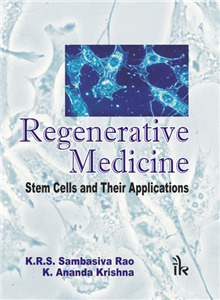 He has researched in the area of stem cell has many publications in both international and national journal.